I just got these fun sports training cones from Clear Active. These are 7 inch cones that you can use for sports, training, games, etc. They are really well made, made of a thin plastic that is sturdy enough that you don’t have to worry about them tearing or breaking but also flexible so if you run over one it won’t break or be destroyed. You get a set of 12 so you have a bunch that you can use for marking out a course or doing several activities. My kids have a lot of fun with these, I got them for them to play with outside. They have used them for a variety of things like bike courses, sports/running courses, games, marking goals for soccer, doing gymnastics training and lots of other things as well. Very versatile. Manufactured from a highly durable, pliable plastic that doesn’t crack when hit or stepped on. The fade-resistant, bright orange color is highly visible on grass and most other surfaces. Sturdy, wind-resistant “witch-hat” design, with rounded edges and enough weight to stay put. Ideal sport training equipment for drills, agility training and speed training, both indoor and outdoors. Perfect for any sport, such as soccer, football, street or field hockey and more – as well as games at parties and events. 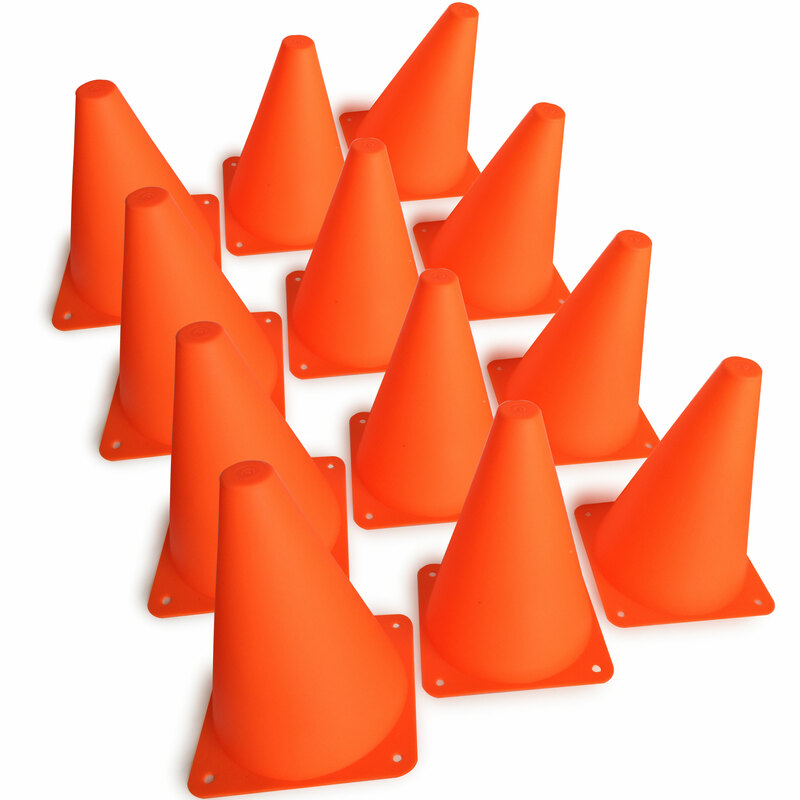 You can purchase these cones on Amazon!